Nice quality retro 1960's teak long low sideboard. Having opening cupboard doors with storage at either end, and central opening cupboard doors with drawers to the left and more cupboard space to the right. 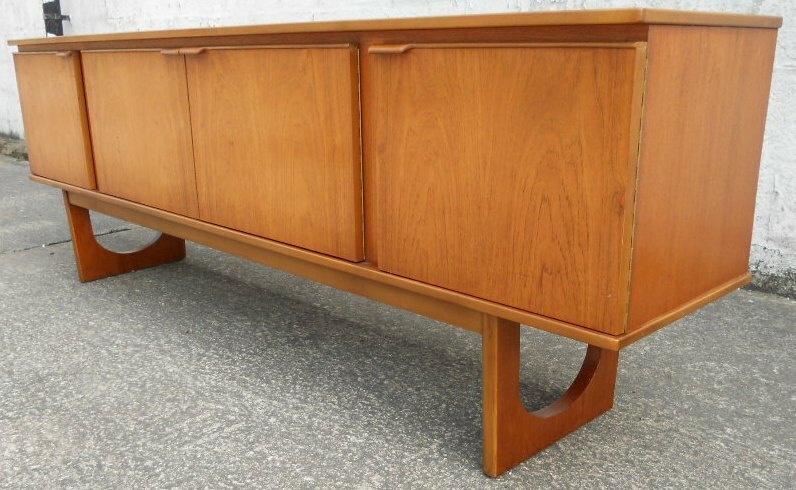 This stylish retro teak 1960's long low sideboard is in nice condition.